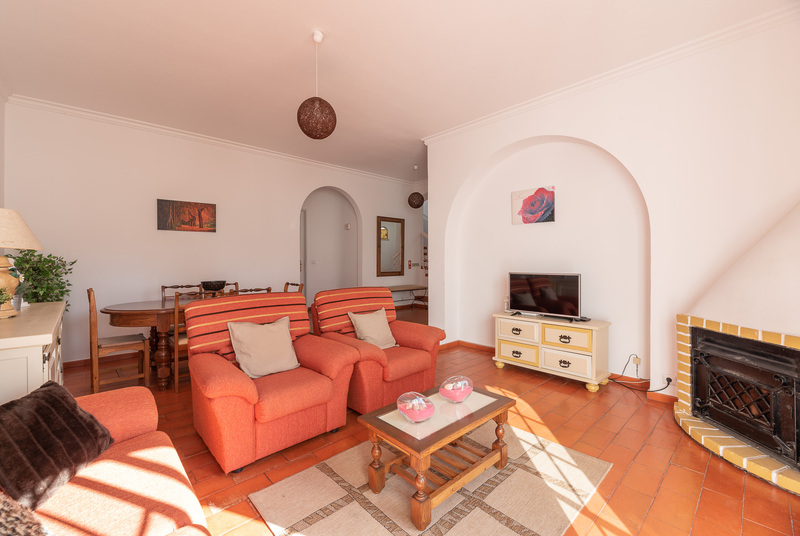 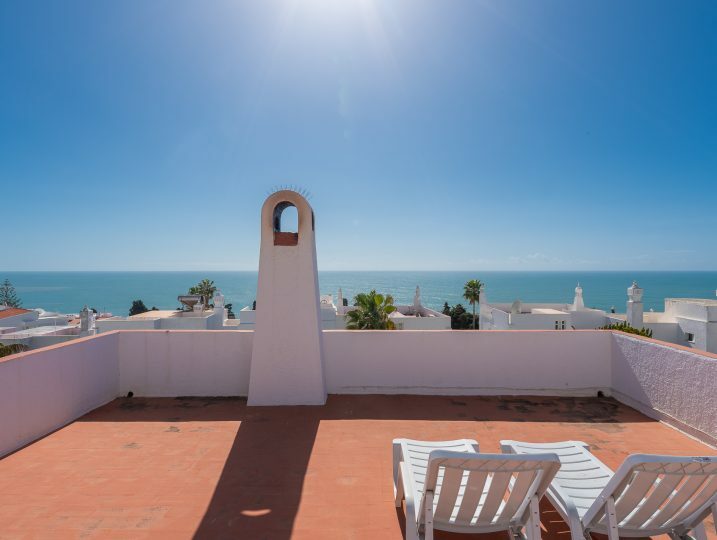 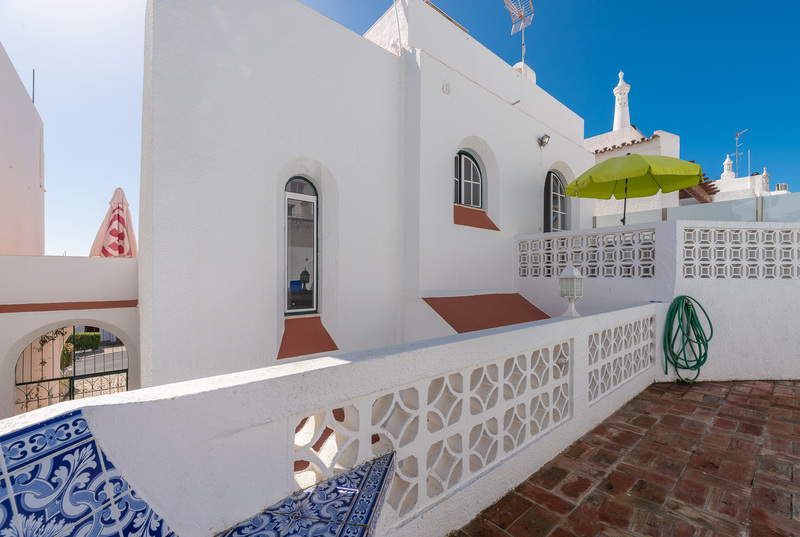 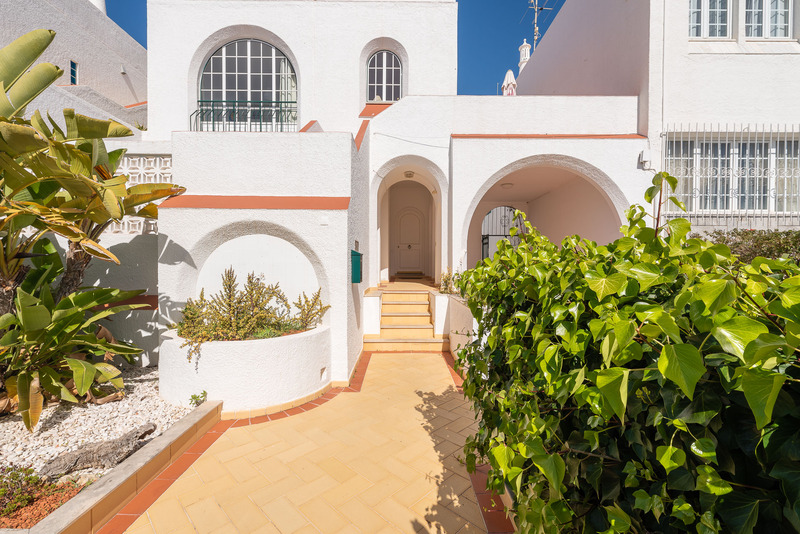 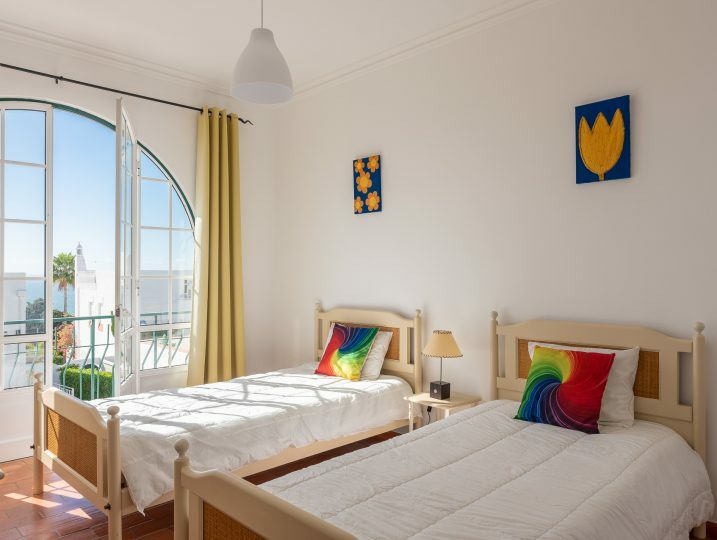 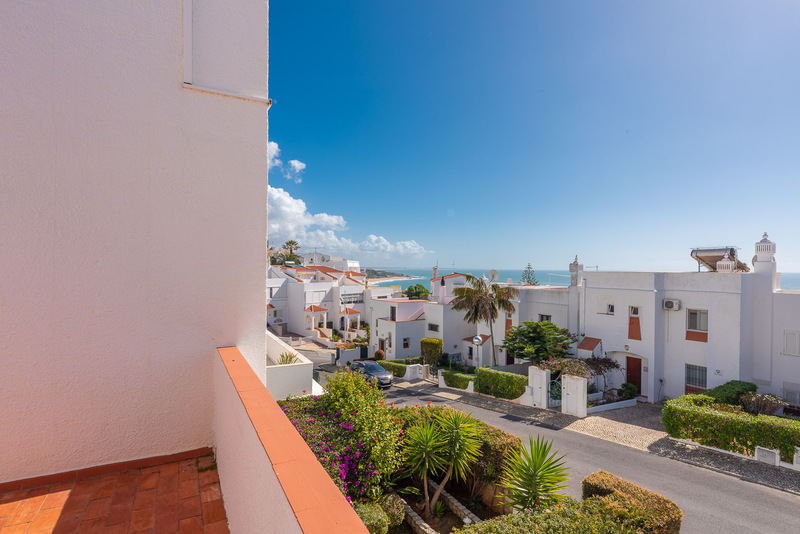 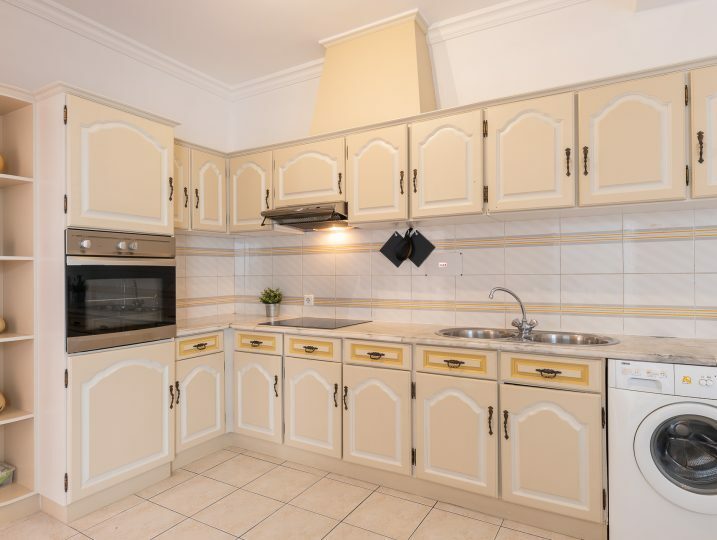 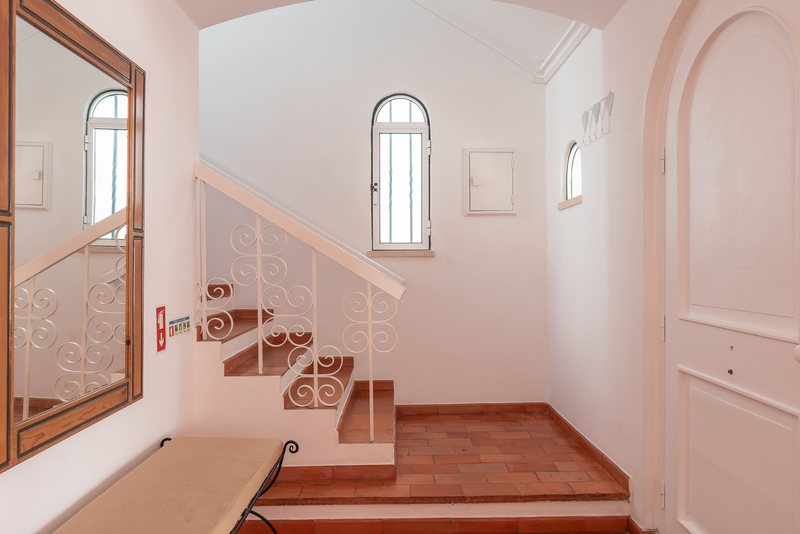 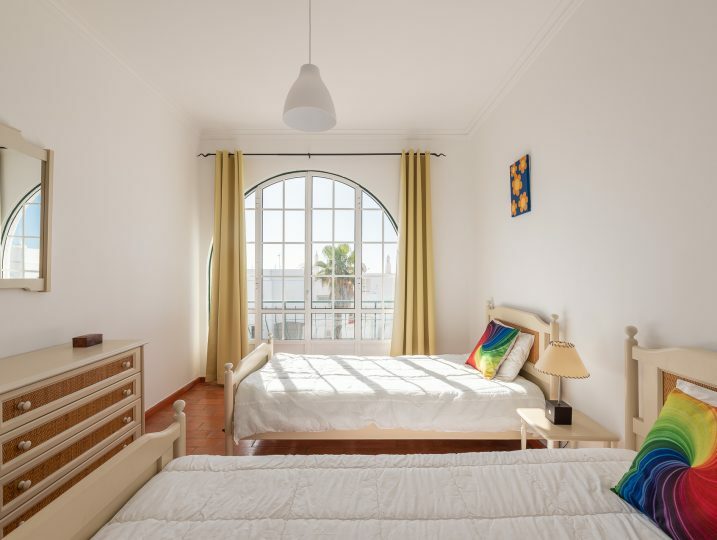 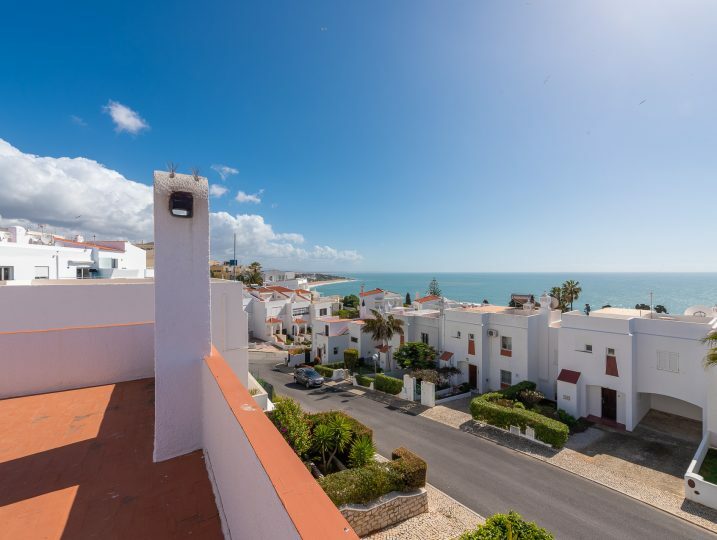 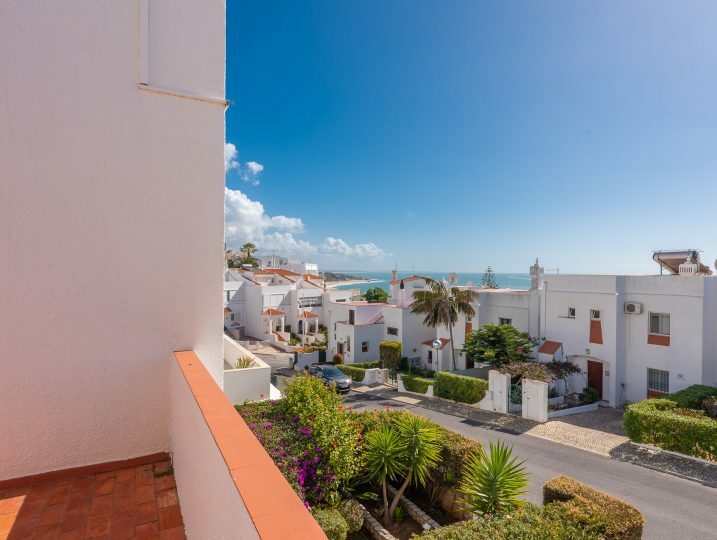 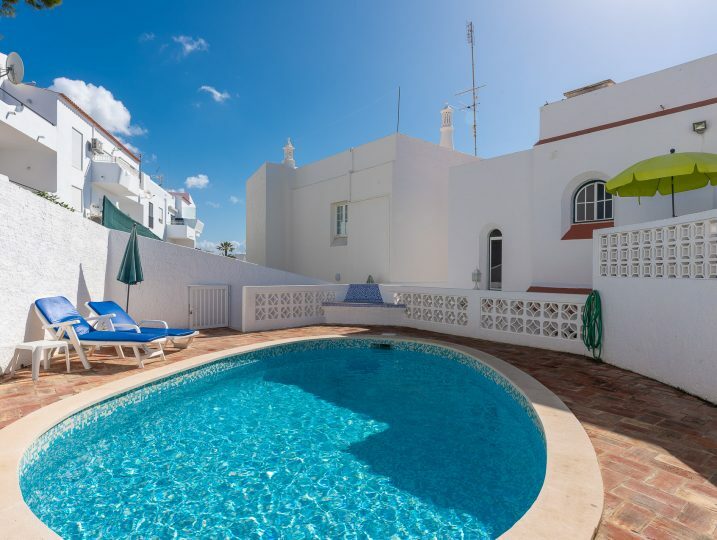 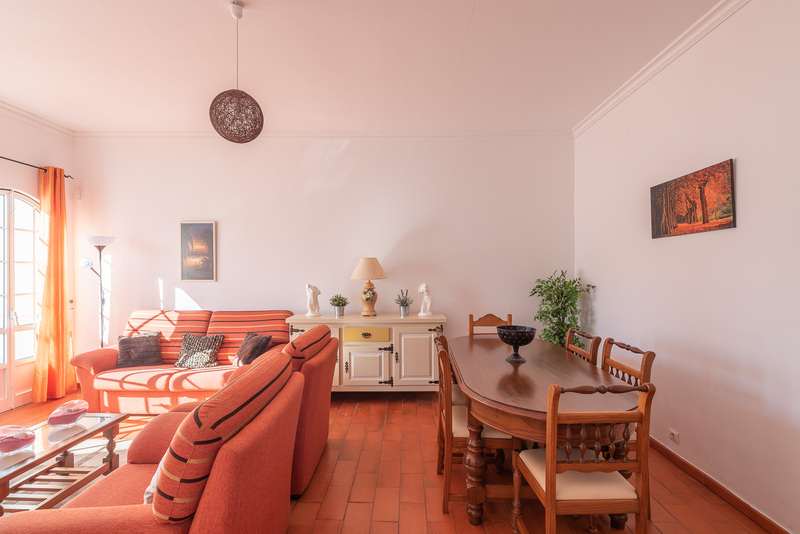 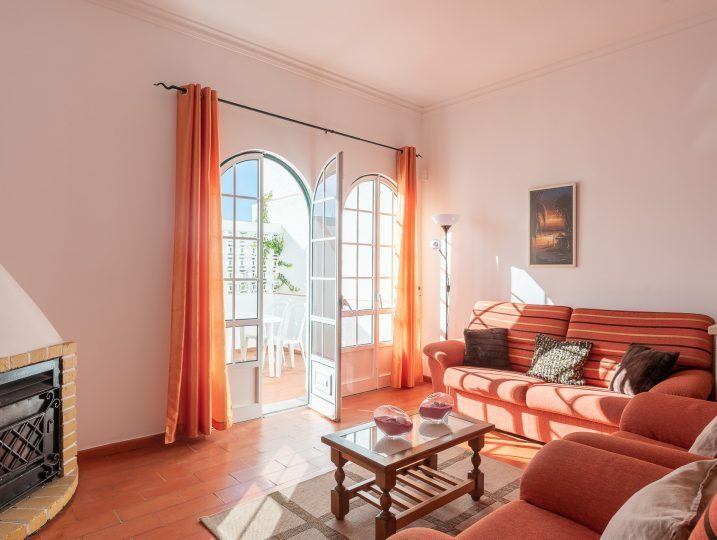 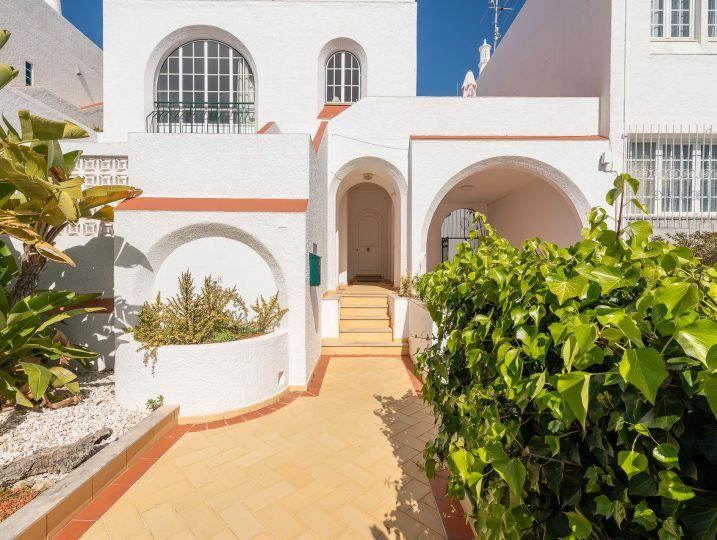 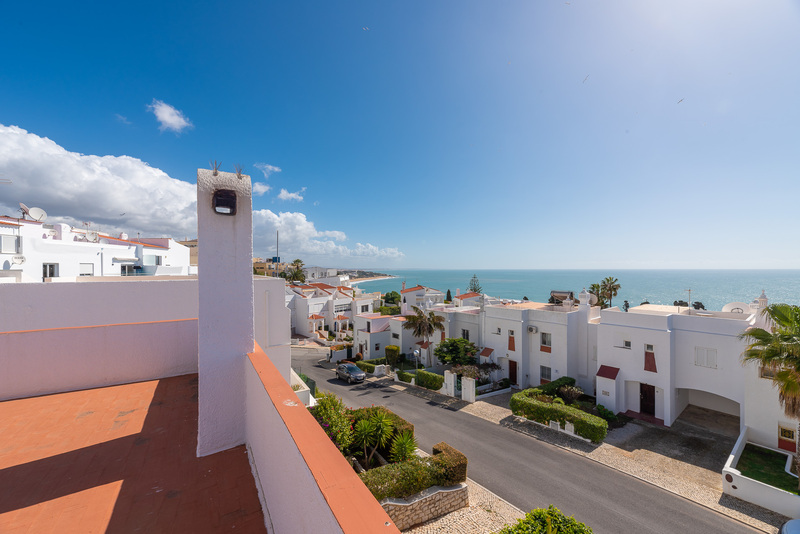 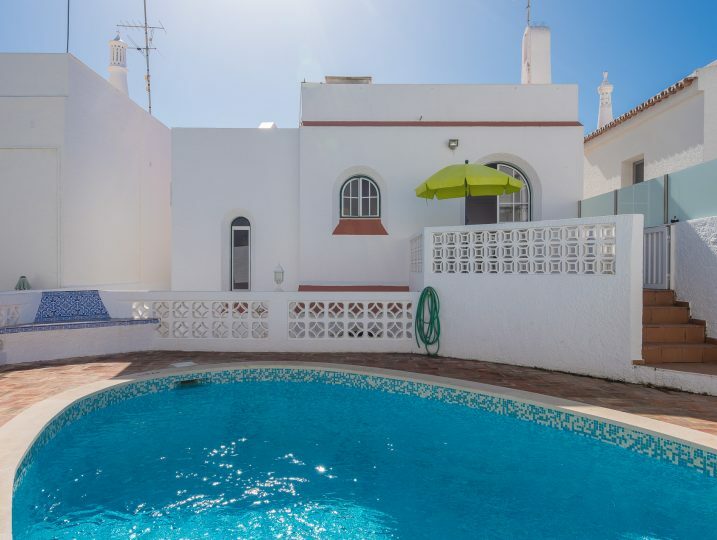 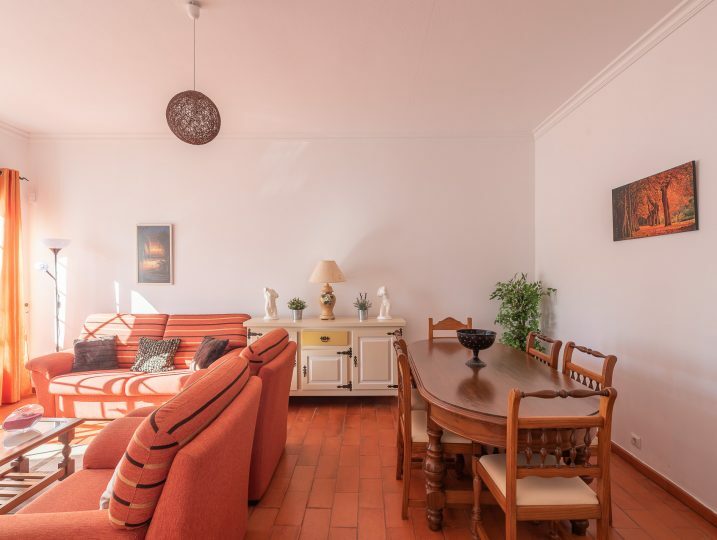 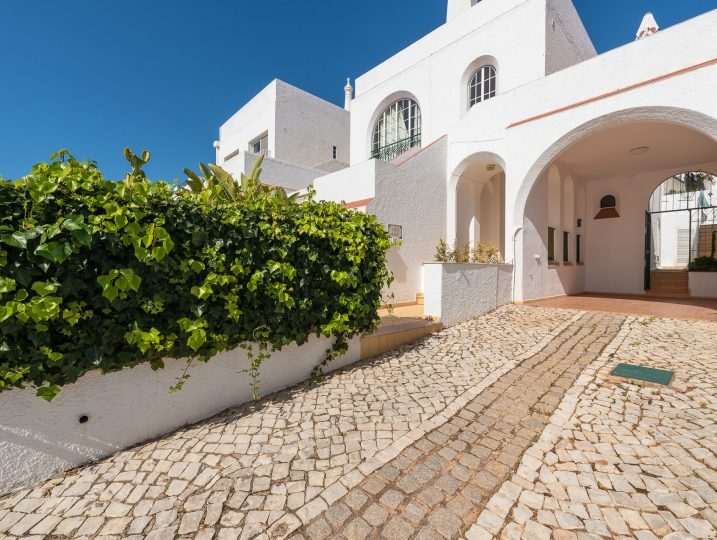 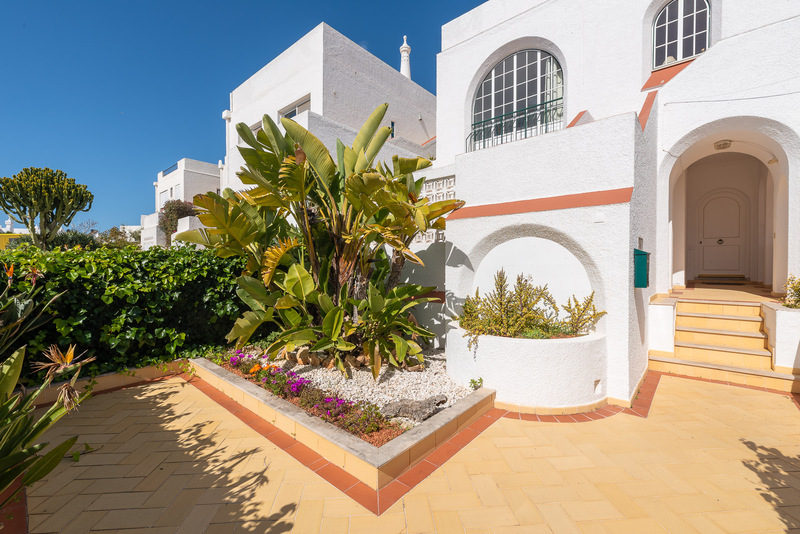 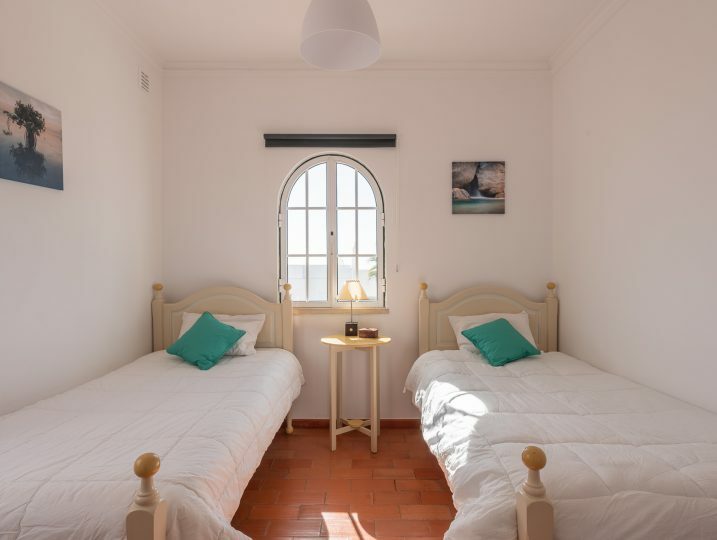 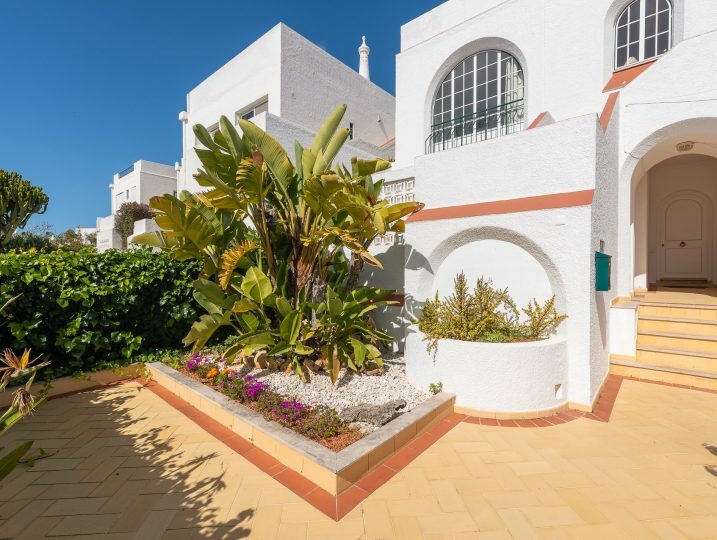 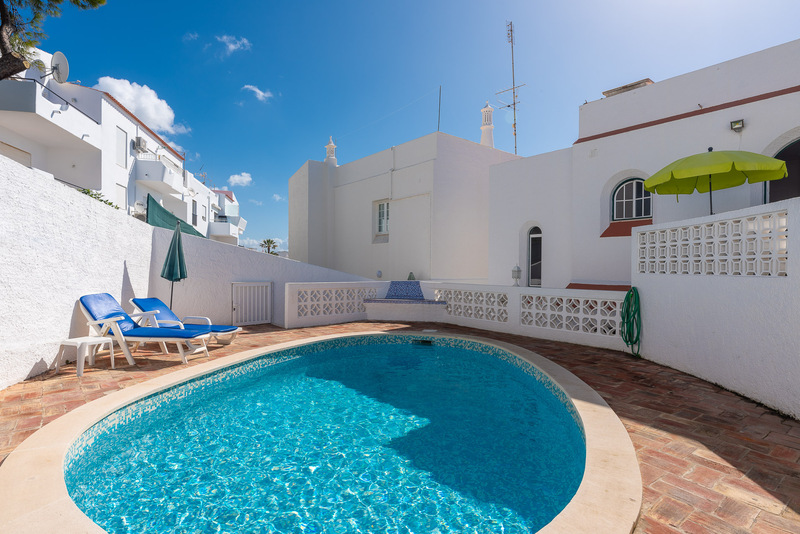 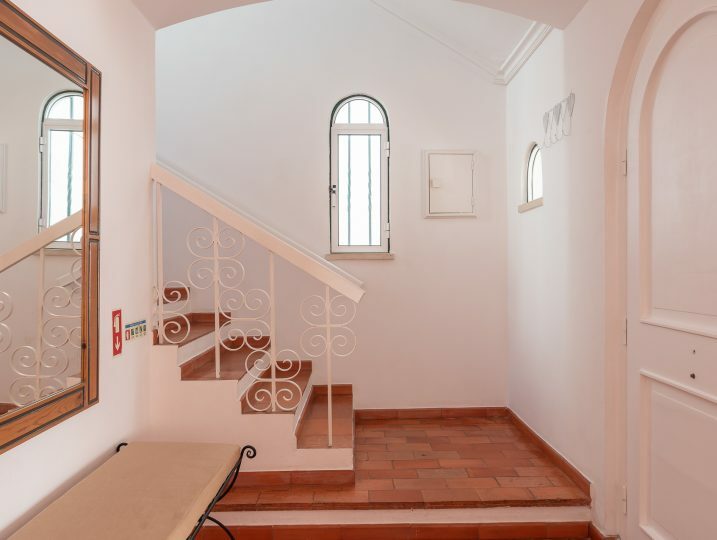 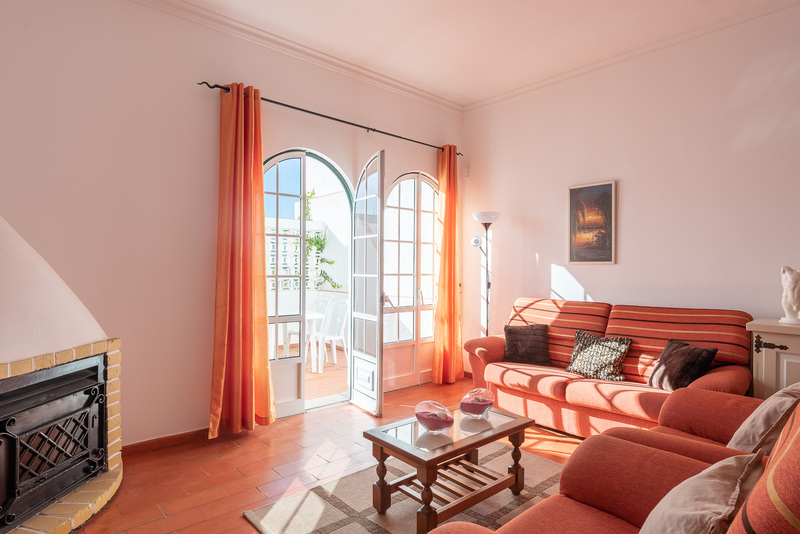 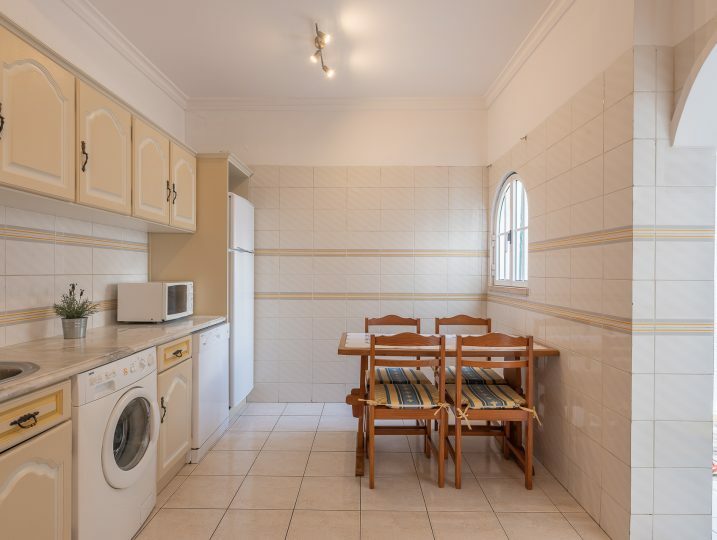 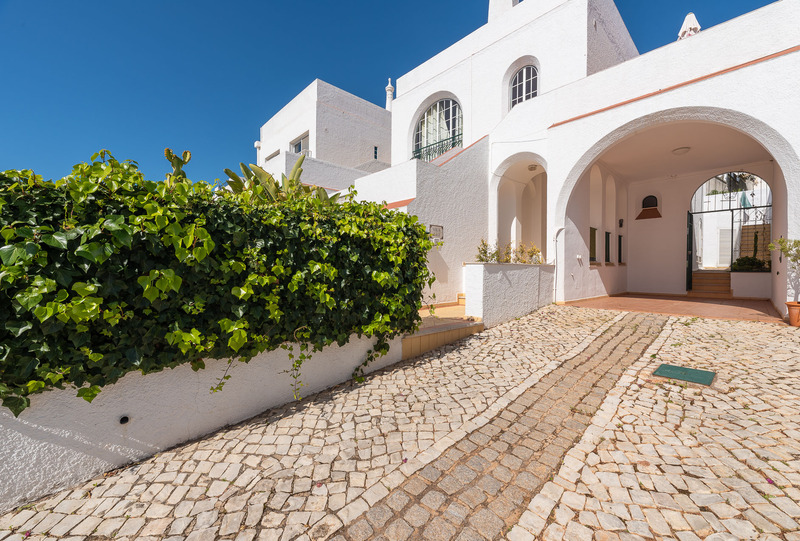 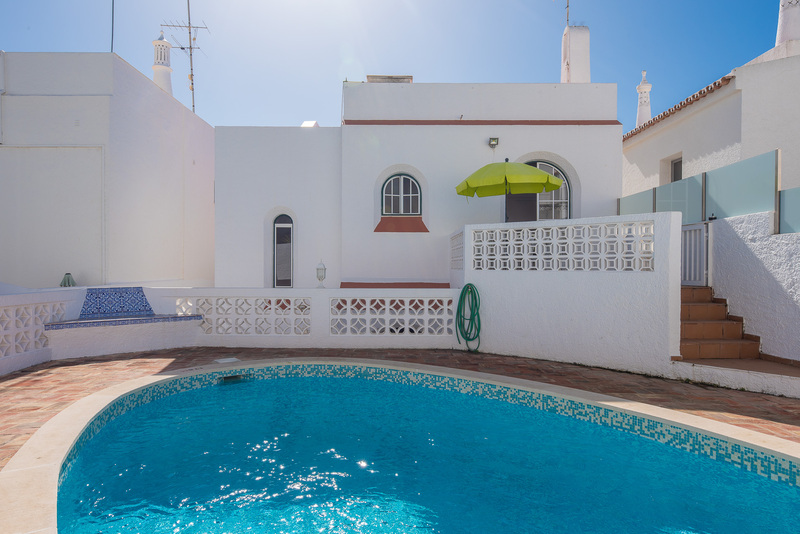 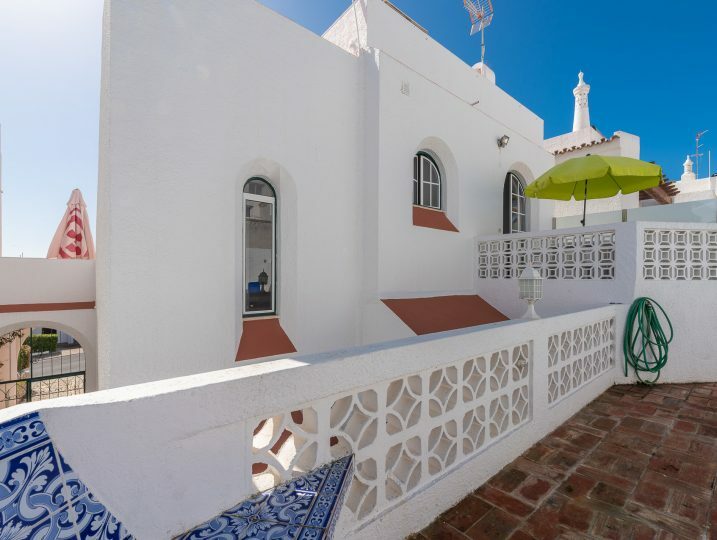 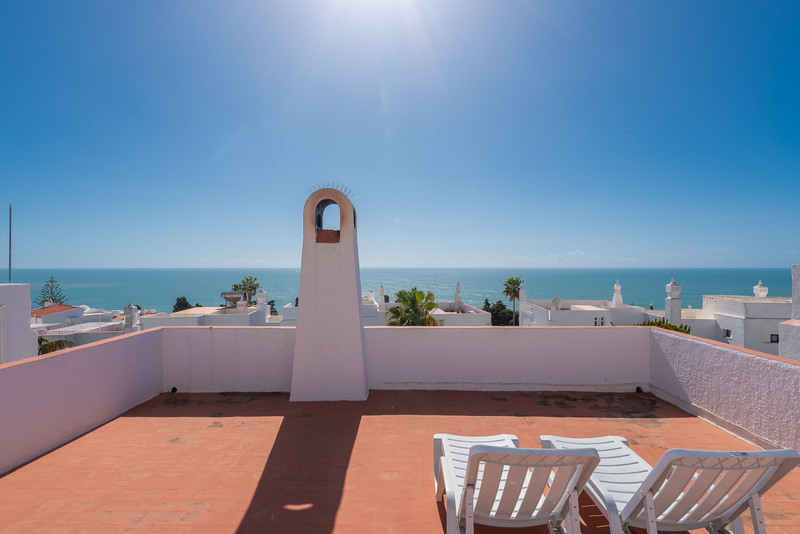 This house 3 bedroom townhouse with private pool is located in the Cerro Branco area, in a pleasant location, a few minutes away from Albufeira’s Fishermen’s beach (500m). 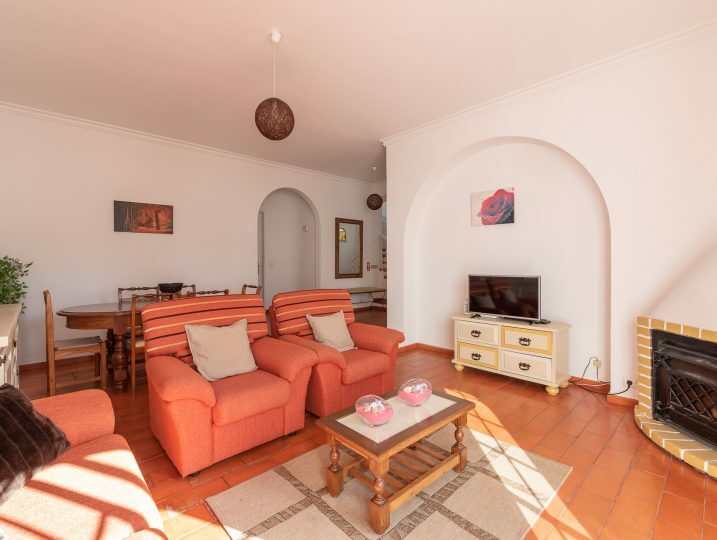 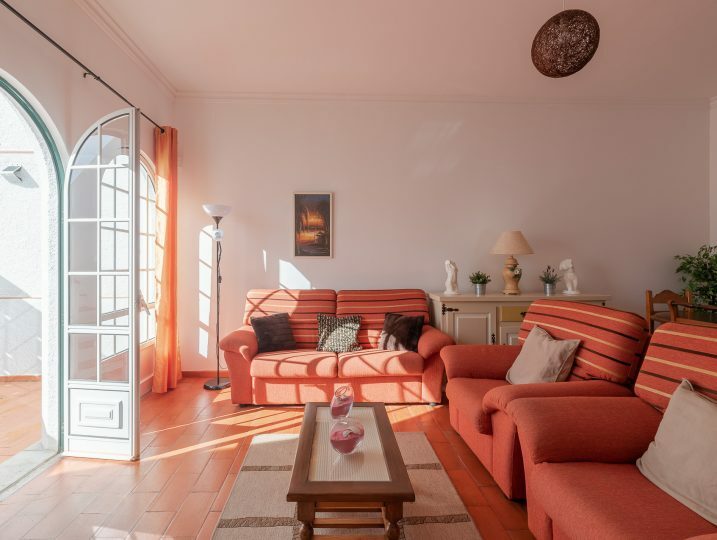 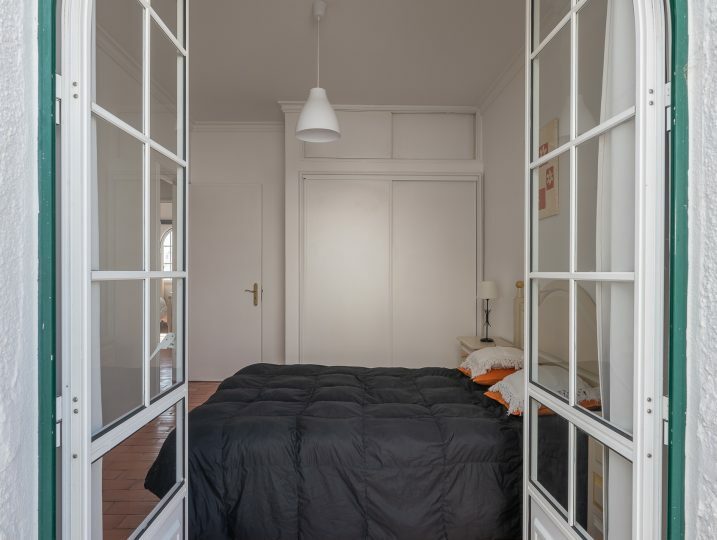 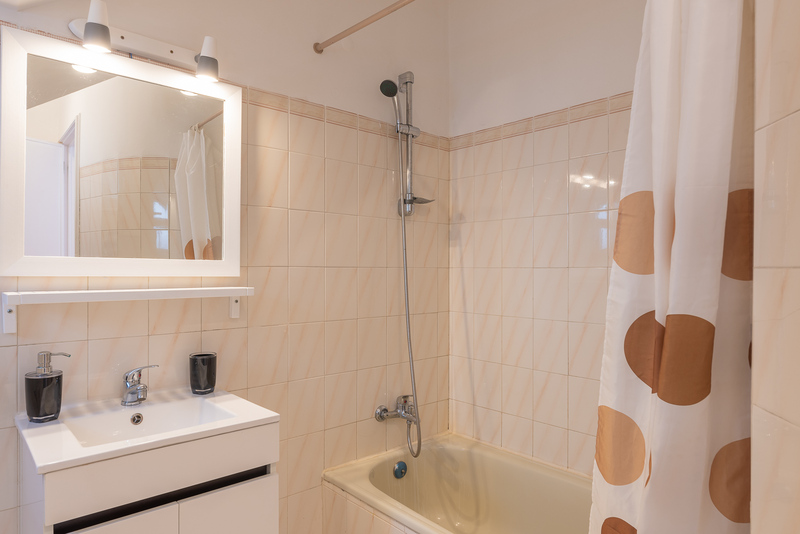 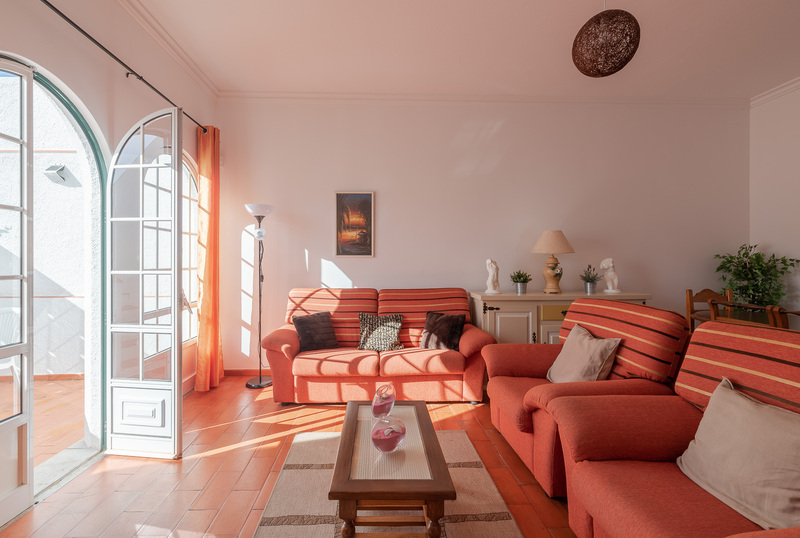 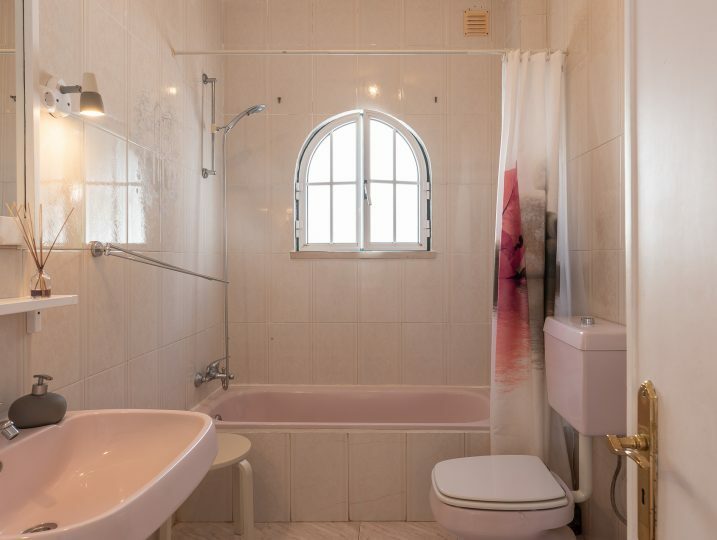 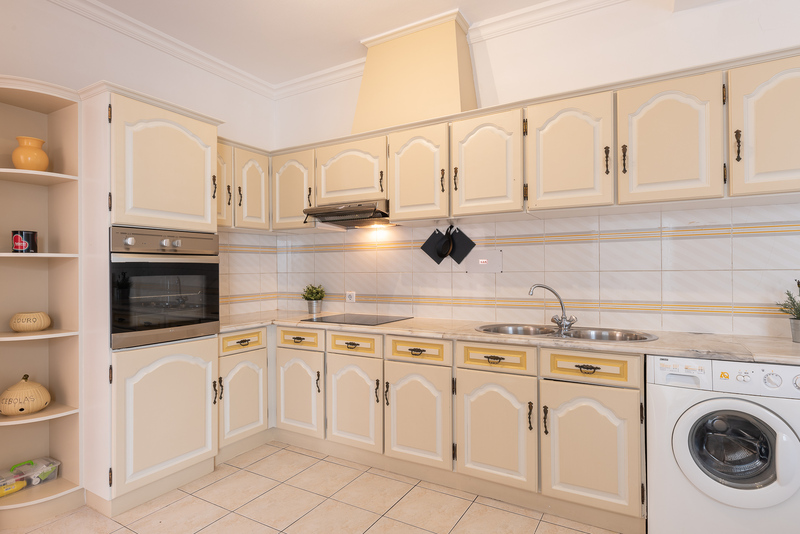 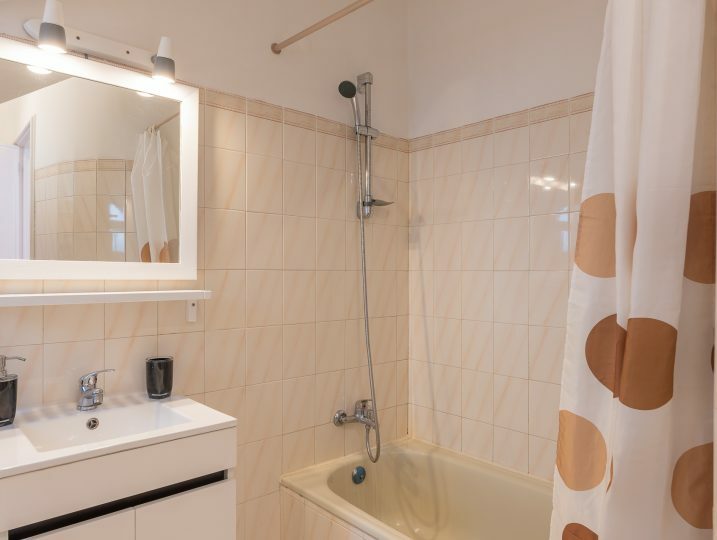 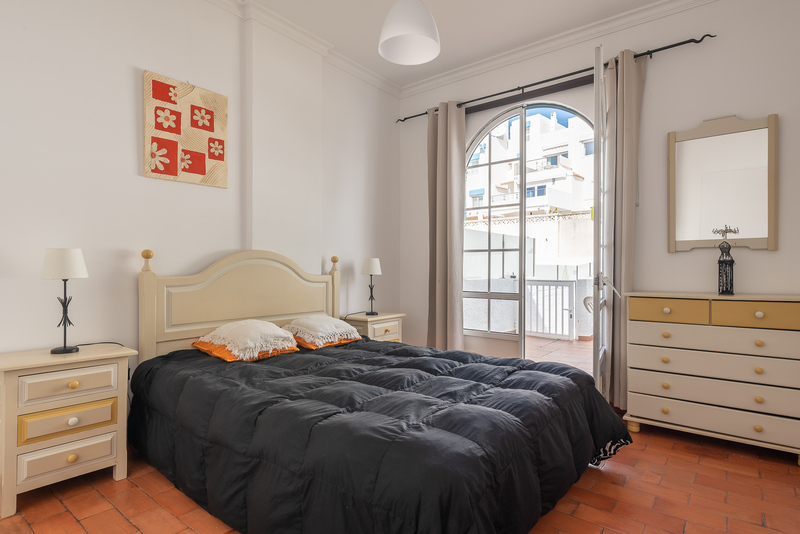 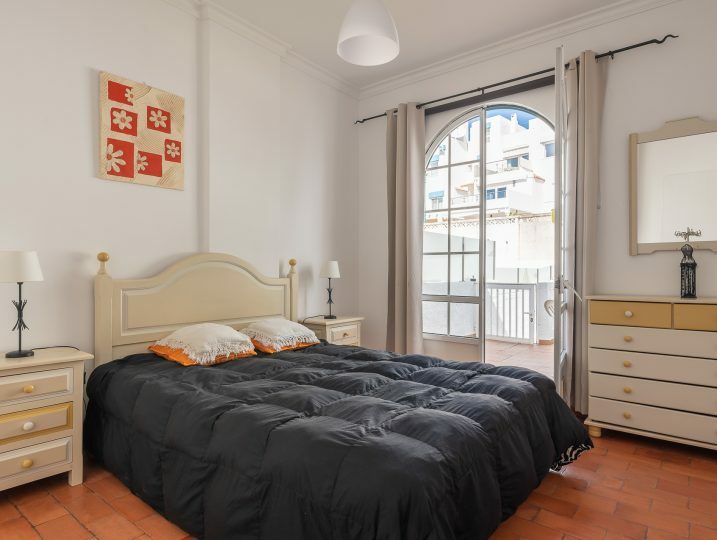 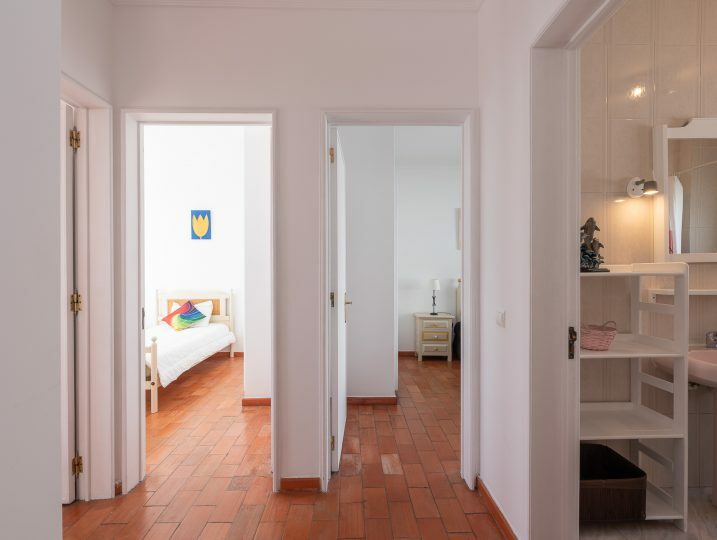 The house is also close to restaurants and shopping facilities (100m). 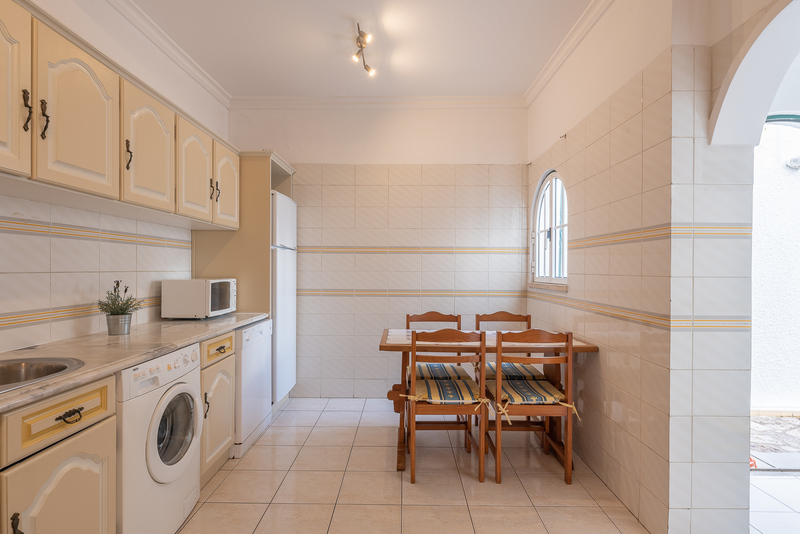 The house offers you 3 bedrooms, divided among 2 floors: On the ground floor, we have a living and dining room, kitchen, bathroom and access to the exterior area. 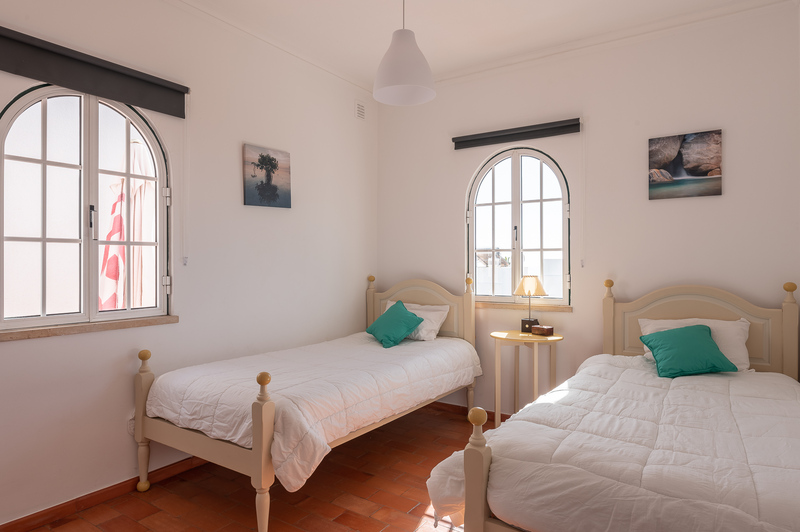 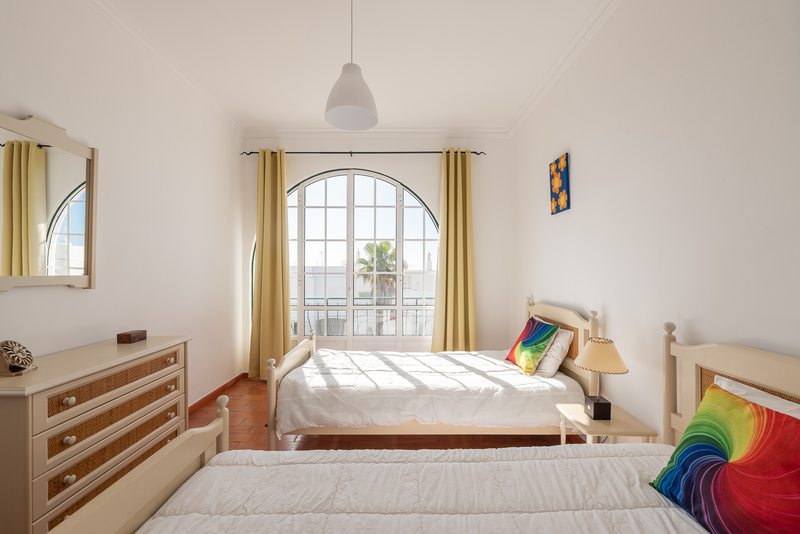 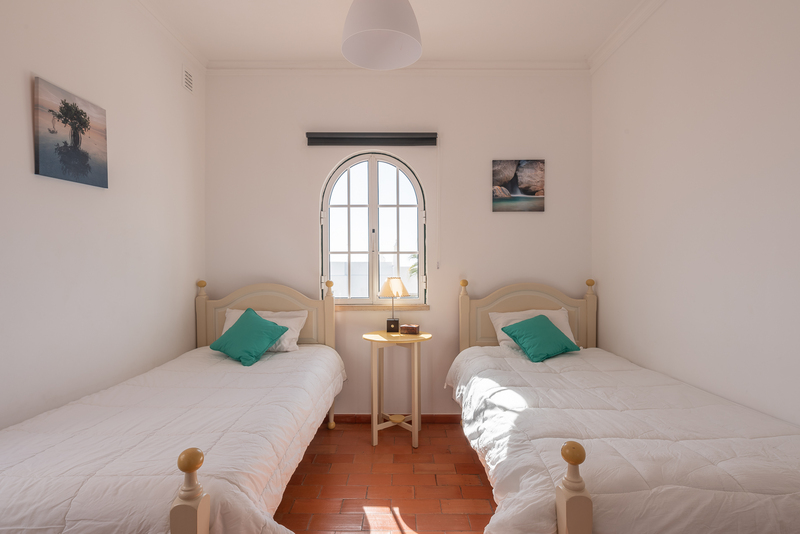 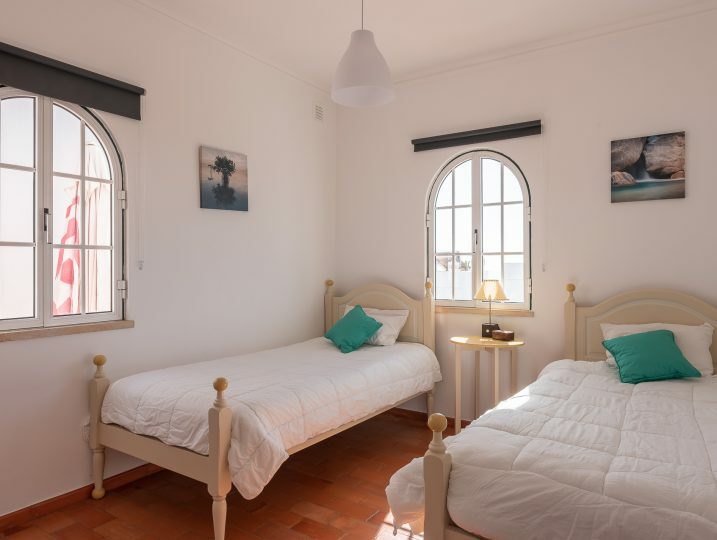 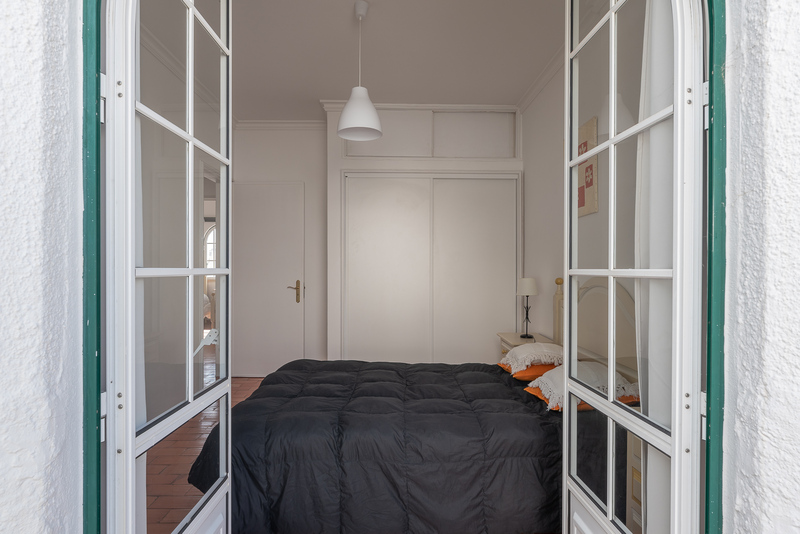 On the 1st floor, there is 1 double bedroom and 2 twin bedrooms and 1 bathroom. 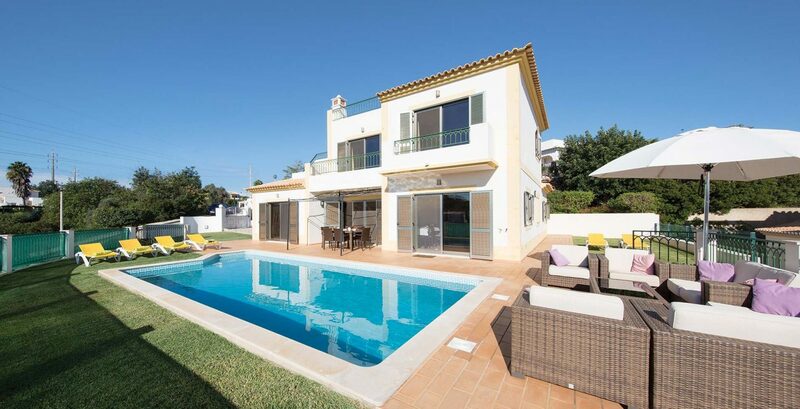 The exterior offers a BBQ and sitting area and a swimming pool with surrounding terrace and exterior shower.